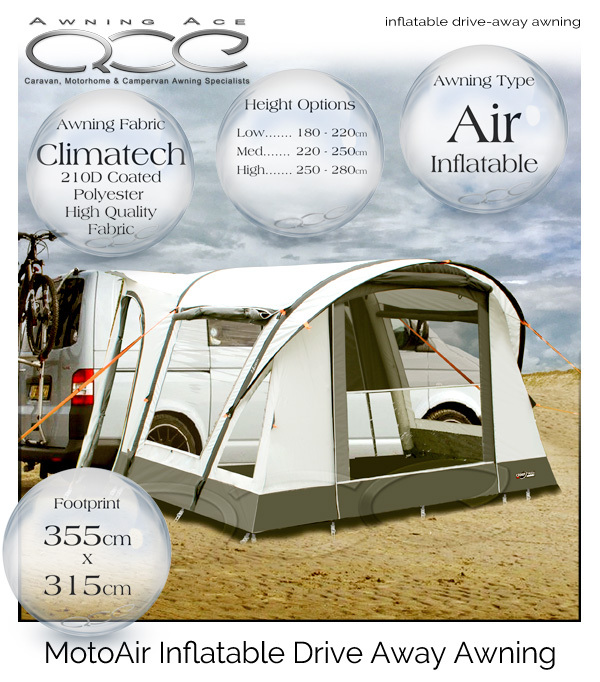 Make the most of your campervan or motorhome with the addition of the new Camptech MotoAir free standing drive away awning. 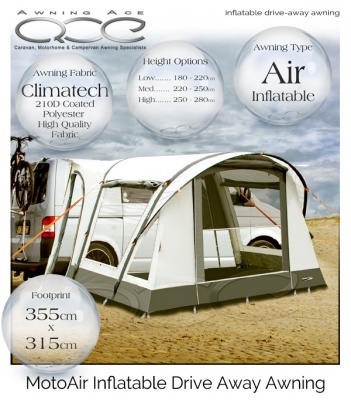 Pitched in less than 10 minutes the inflatable airframe is strong and stable, doubling the living space of smaller campervans. 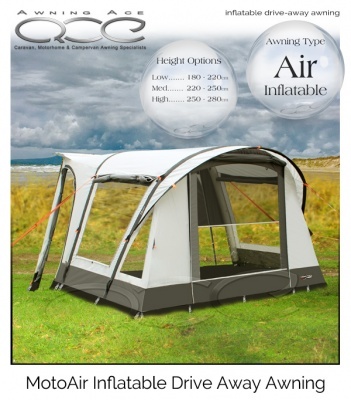 An optional bedroom inner tent is also available and can be hung from the pre-fitted roof ringlets to increase your sleeping accommodation or when unexpected guests decide to stay the night. The bedroom inner tent is hung in seconds and can be removed and stored without fuss to utilize the entire awning as living space. 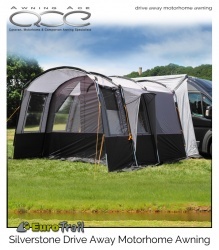 The awnings rear tunnel is fitted with dual awning beading (both 4mm and 6mm) so can be attached directly to your Fiamma or Omnistore roll-out canopy or attached directly to standard awning rail. Other fitting options include; magnetic drive away fixing kits and simple figure of eight gutter fixings. 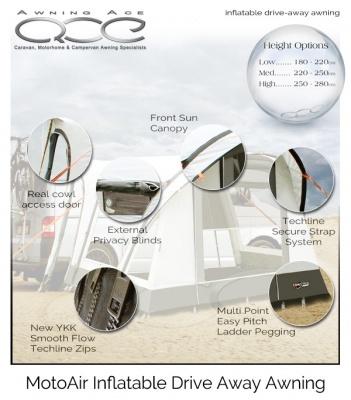 The MotoAir can also be attached to roof rails or roof bars – if you are unsure how to attach this awning to your vehicle, please give us a call and we’ll help you decide.